New 2015 Report on Vacation Home and Investment Properties Just Released! The National Association of REALTORS has just released the 2015 report on sales of vacation homes, and it shows that they are soaring! Seems like folks are “getting off the fence” in the way that we were anticipating was going to happen. 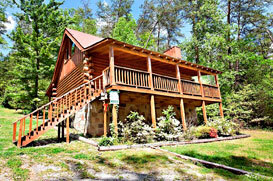 One of the things that people looking for a vacation home or rental investment cabin in the Smokies will have to consider when reading this report is the different interpretation of “investment property” that this report takes. In the Gatlinburg TN and Pigeon Forge Tn area, vacation homes and investment property are many times the same thing, so there is not a difference in the category. In the report, the “investment” property they are referring to would more typically mean a long term rental residential home. Take a look at the report– it has a lot of helpful information in it!